My first trip to the Windsurfing Capital of the World, the Columbia River Gorge, was 1987. I got slammed. But I was hooked. I came back every summer that I could, traveling 20 hours each way in a car packed with dogs, camping gear and boards. It was like leaving the bunny slopes of San Diego's Mission Bay and stepping up to the black diamond runs of windsurfing. The dogs and I fell in love with the place - the majestic scenery, the active lifestyle- the small town community spirit. So we moved here 10 years ago. Though we miss the good friends and family left back home, it was the best decision ever. 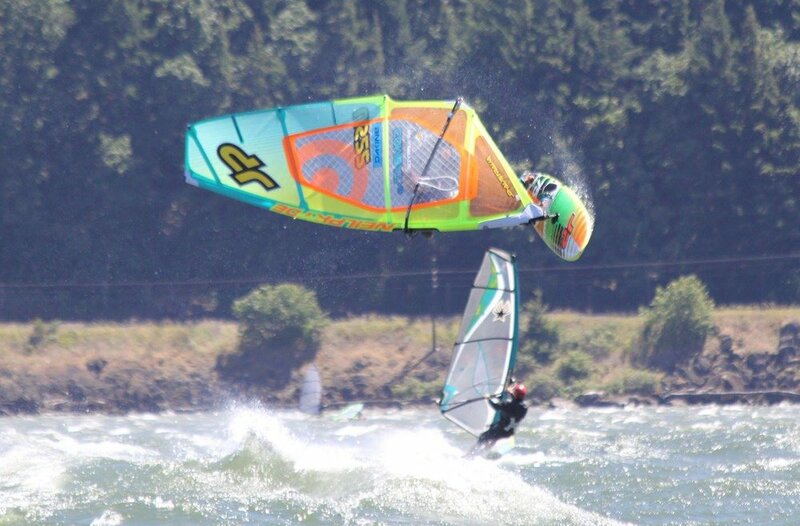 The Columbia River Gorge- windsurfing capital of the world - today. It howls wind here. The dogs sail with me on light wind days, at the beginner beaches, Hood River Event Site or The Hook - the only places I feel it's safe for them. They always wear protection - wetsuits, life vests and leashes. We've not had a near miss with windsurfing dogs, and I never, ever want to. 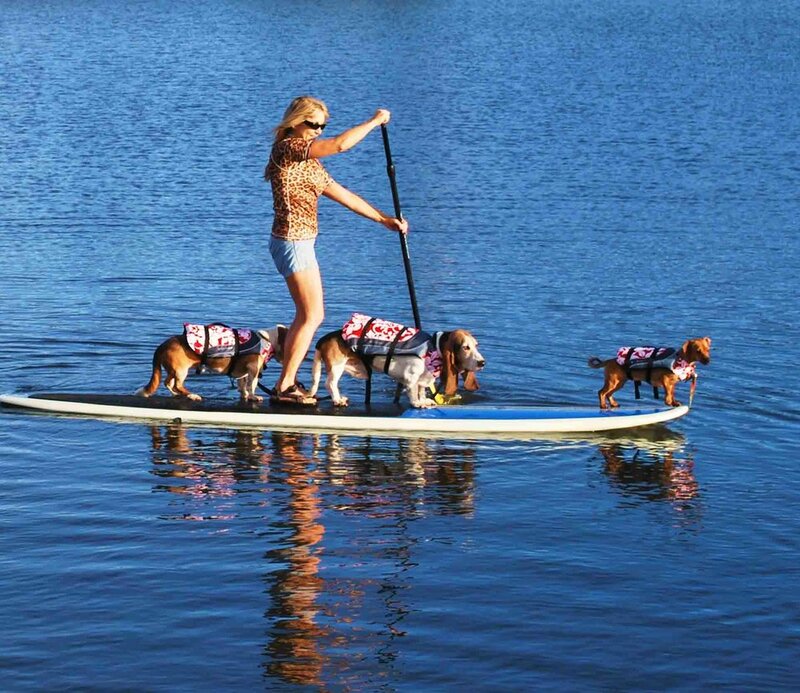 Then some genius invented SUP (stand up paddle boarding) which is far less challenging for dogs, so we could go out every day! All four of us, before we lost our old basset boys to old age last year.